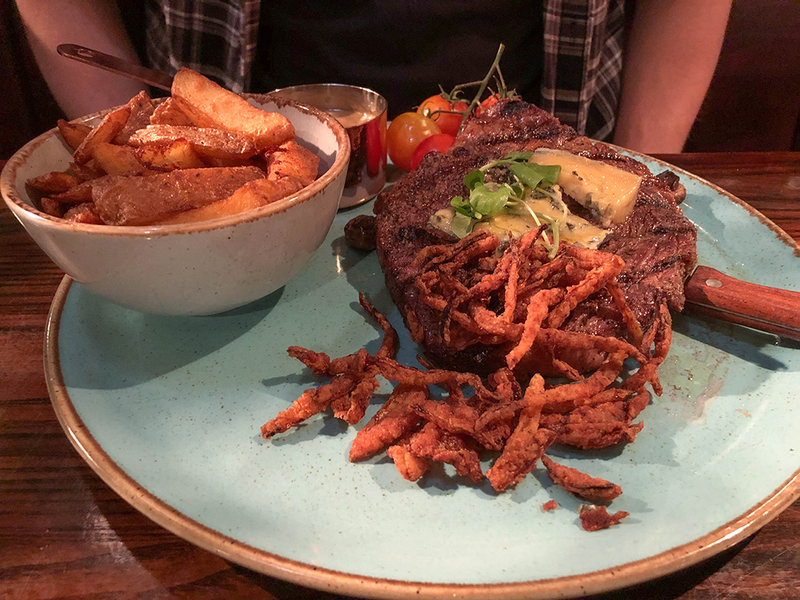 We recently visited Liberty Brown to sample their steaks. Liberty Brown is the longstanding bar/restaurant beside The Palm, a recently developed tropical oasis in Sunderland along Wessington Way near the riverside. 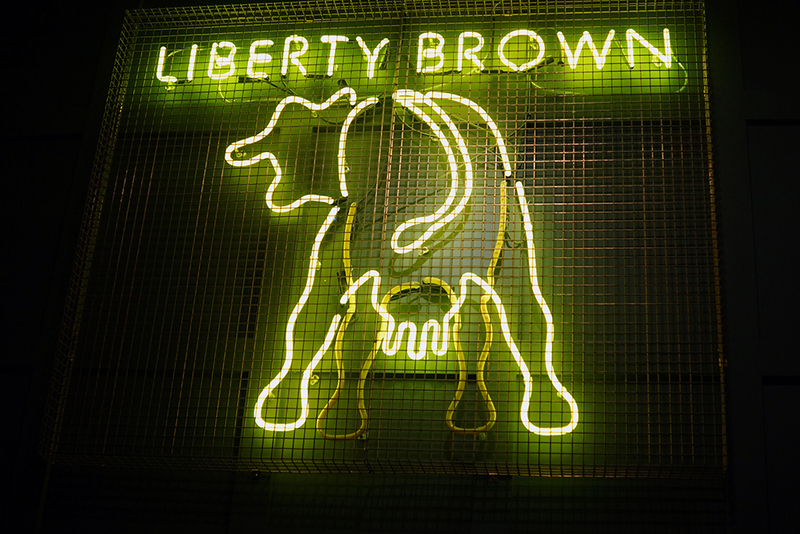 Walking in past a neon dancing cow sign, we headed upstairs to Liberty Brown. We were shown to a table (and shortly after ordering, moved to a booth which gave us much more space for all the food we were about to eat and felt more cosy.) 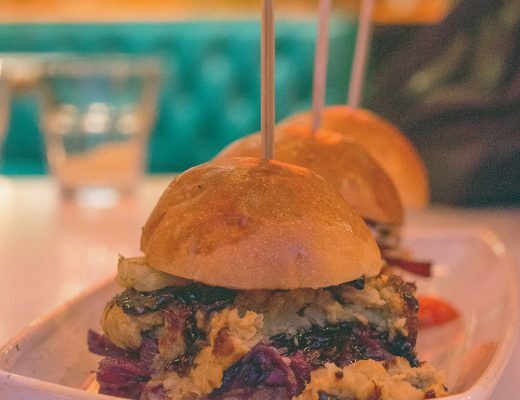 I would recommend when booking if you’re a group, or wanting a more cosy date night, to try and ask for a booth. 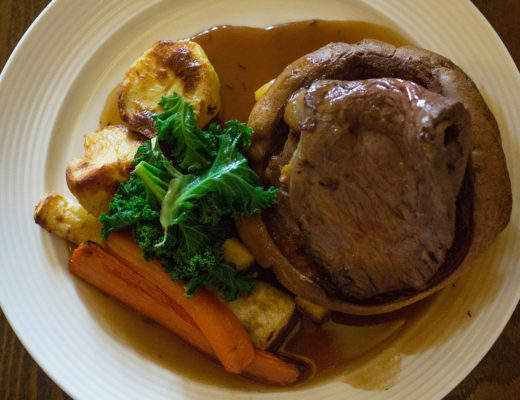 The staff were really helpful, both with ordering food – as I was torn between steak and lobster and ordering the 8oz fillet steak then lobster Mac and cheese as a side! 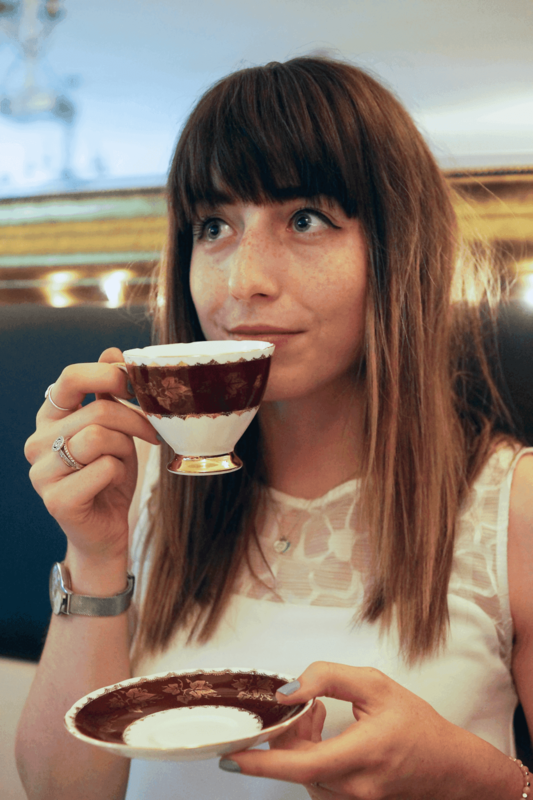 I opted for the latter, as you’ll see from the photos. 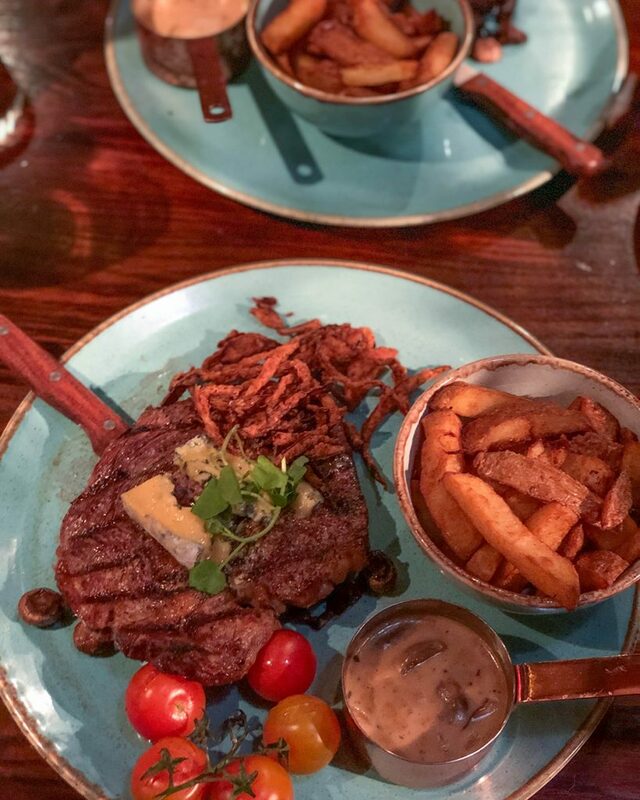 Whilst the steaks were delicious (I do wish I’d opted for mine to be more medium after trying my boyfriend’s 12oz Ribeye with part of the blue cheese wedge on – utterly delightful!) I wouldn’t really recommend the mac and cheese.Being a steak house they pride themselves on their steaks, and rightly so, but the mac and cheese was just not cheesy enough and the lobster one I ordered didn’t feel worth the £6.50 price tag for a side dish. The homemade chips were delicious and proper chips that really complimented the steak – and also were lovely dipped in the peppercorn sauce I chose to accompany my meal. Price wise, I would say the steaks are competitively priced for what you get. 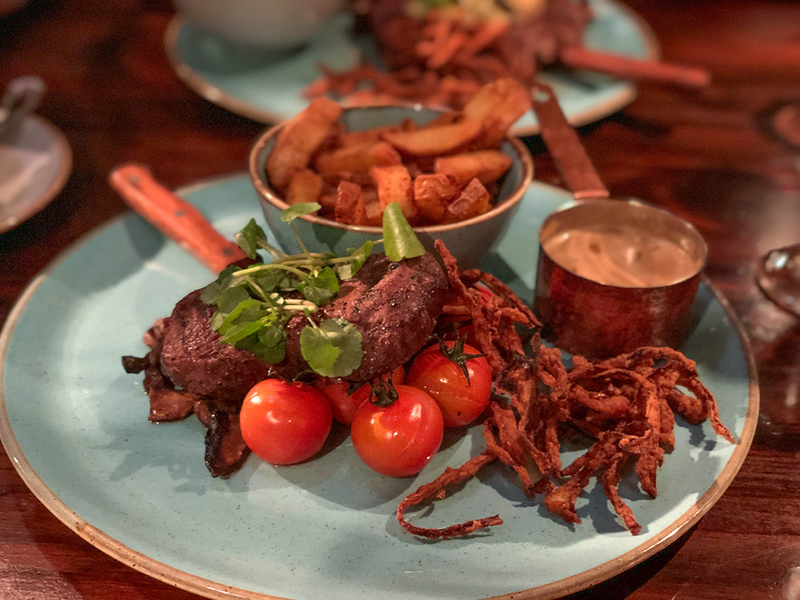 For example £25.50 for a 8oz Fillet includes a sauce of your choice (always peppercorn for me fyi) homemade chips, cherry vine tomatoes, mushrooms and crispy salt and pepper onion strings. We opted to have dessert as part of our visit and sampled the honeycomb cheesecake and apple pie nachos. 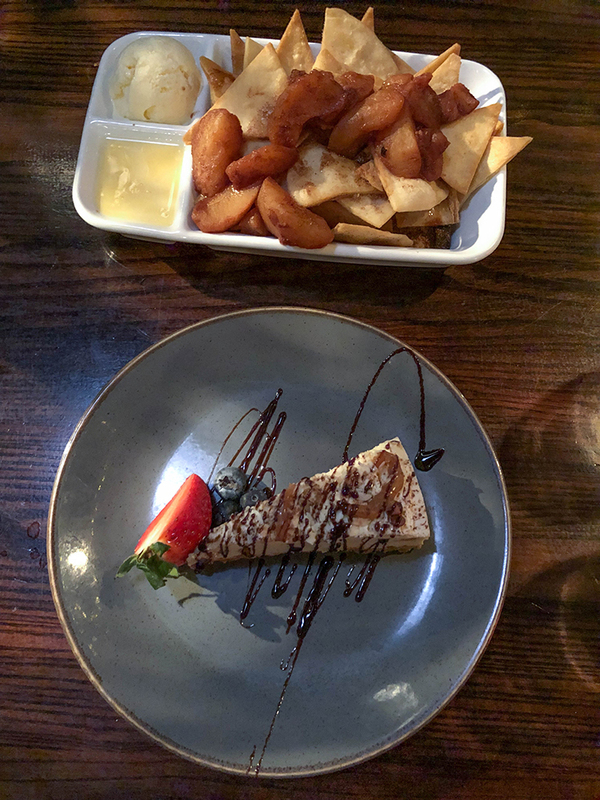 The latter was the immediate winner, with a very generous portion of sweet nachos, topped with sweet apples, cinnamon and served with custard and ice cream. A slightly different dessert and I liked that. My cheesecake was good, but I prefer more zesty fruity flavours. 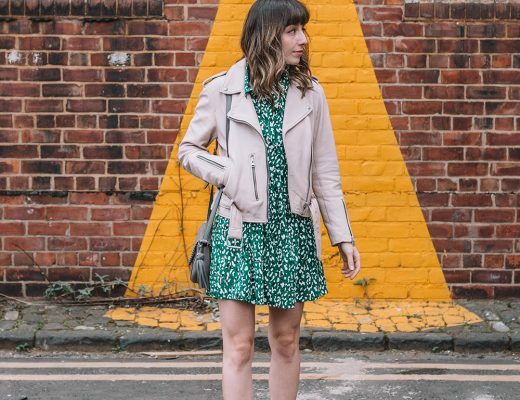 If chocolate and honeycomb is your bag though, you’ll enjoy this! As a side note, I did spot sticky toffee pudding on the desserts menu, but by no chance would have managed to eat that after a full steak! Liberty Brown boasts a roof terrace with some impressive views across to the Northern Spire bridge. 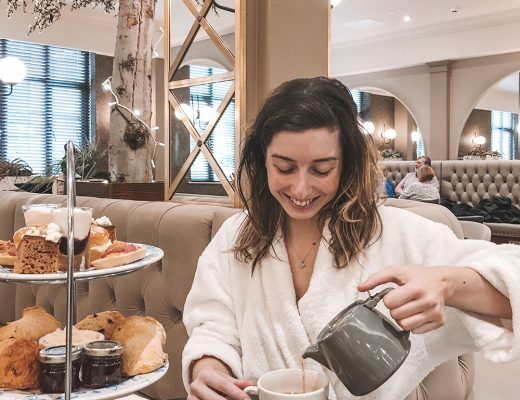 It was particularly cold the night we visited, but we have discussed coming back in the warmer months and definitely think it’ll be a hot spot in the summer – as will the whole area of The Palm. 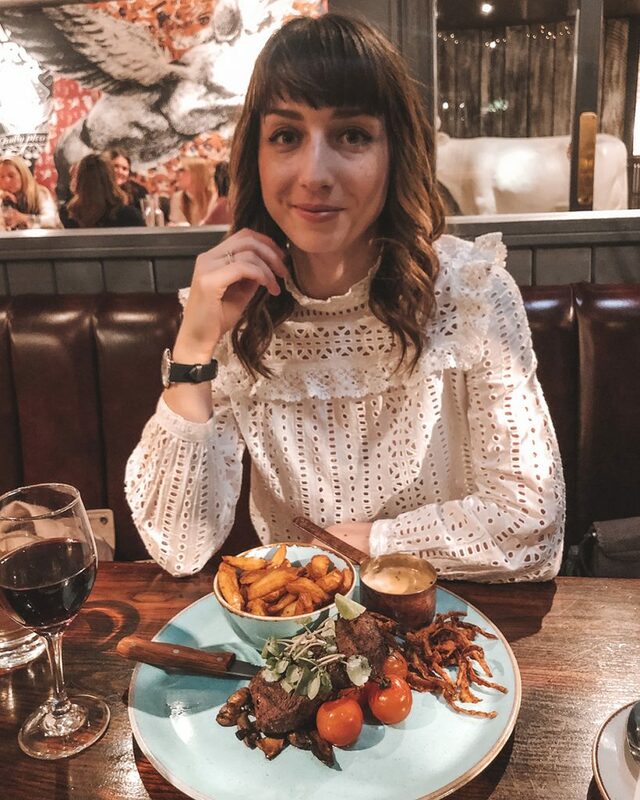 Liberty Brown are actually taking part in Sunderland Restaurant Week running from 16-24 March, so check out the website here for more details if you’re interested in a slightly cheaper date night over the next week. This meal was complimentary in exchange for review.